Choosing a color at the nail salon is hard enough but there's one decision in the manicure process that's even more difficult: how much do I tip? And all the relationships you form in a salon can be the most intimate in your life. So tipping something that allows you to express appreciation for a job well done! Experts weighed in on the topic and agree a standard tip between 15% and 20% of the cost of service is fair (that's before tax!). But when it comes to tipping, it goes a little beyond that. How you fork over those extra bucks is important too. Salon staff prefer cash. Unfortunately, tipping on a credit card doesn't always guarantee your technician will receive it. Also, you're only expected to tip for good or exceptional service. 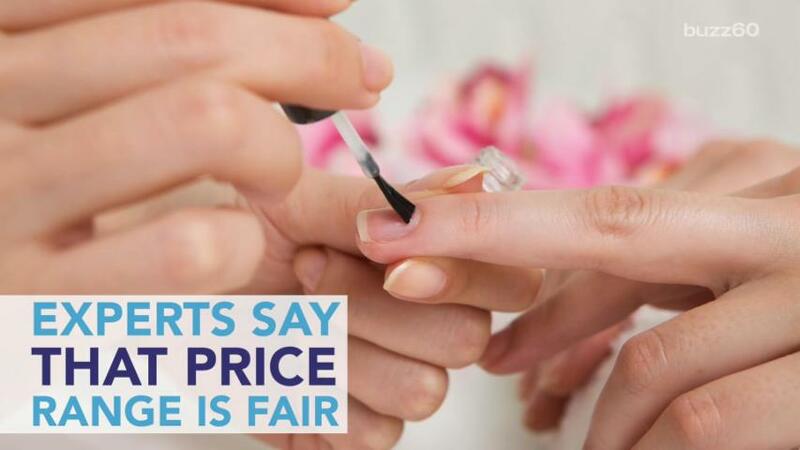 If you're not happy with your manicurist's performance, it's okay to let it be known. Instead of skimping out on the tip, talk to the salon owner and give feedback on what your expectations were.